I can’t believe school is starting next week! We have been running around all over town trying to make sure my girls have everything ready for the first day of school. My Lisa is going to be starting Junior high and she is all nervous about having the right supplies, and her biggest worry is that she won’t be able to open up her locker! I went to Target the other day and found the coolest pens ever! FriXion Erasable Pens are perfect to take care of the every day worry of starting school. Junior high kids love to use pens but these are perfect because if you make a mistake, you can actually erase it and the ink comes out of fabric! Target has a Circular deal from 8/23 to 8/29 that will give you 20% off on FriXion Clicker pen 3 pk Assorted and FriXion pen 3 pk black. I love deals! My Lisa is all about style! At our junior high, you can’t take your backpack to class because of security reasons, so I decided to make her a cute bag that will be the perfect size for her pens! 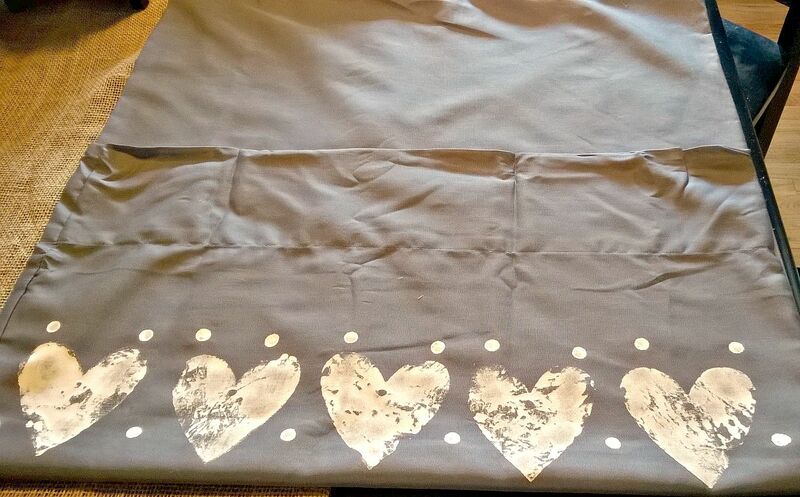 Lay the pillowcase flat with the open end facing towards you. Grab the open end and fold it about half way up. Place paper in between the layers of the open flap. It’s time to add the design! I used a sponge that was in the shape of a heart. Pour craft paint onto a paper plate and dab the sponge into the paint. Press sponge onto the top of the open flap, until you achieve your desired design. 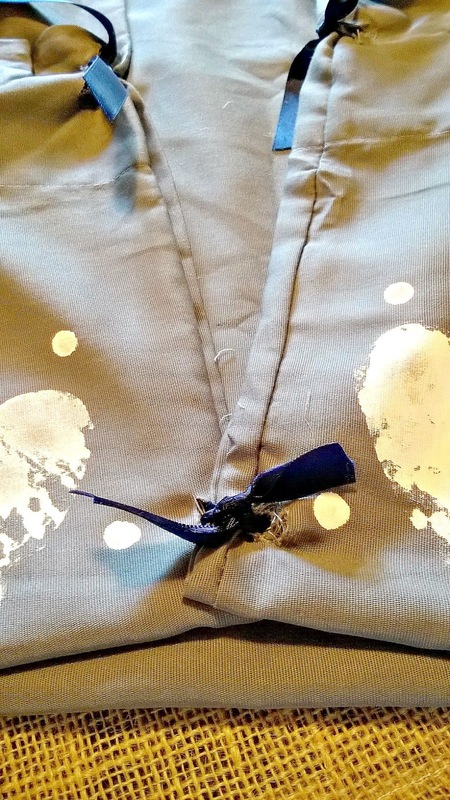 To attach the strap, cut small holes into both sides of the pillowcase where the open end meets the back layer. You will have 4 continual holes. 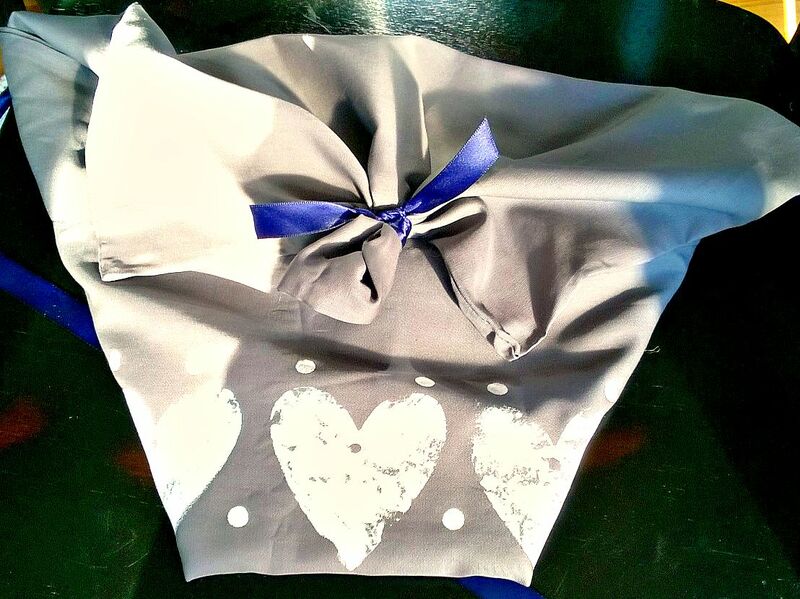 Push your ribbon through the 4 holes and knot it on both sides and this will make the handle of your bag. 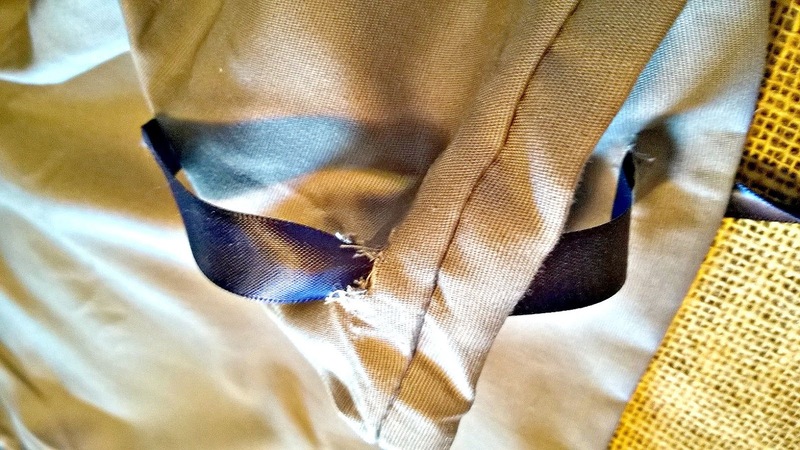 Turn your bag over and bring the two bottom corners together, and attach them by cutting a small hole in each corner and knotting them together with a small piece of ribbon. 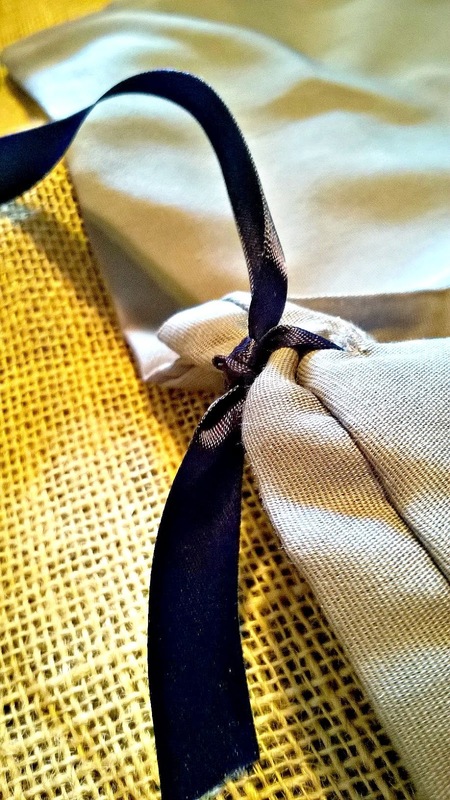 To create a tassel on the front of the bag, gather the center of the flap and tie it with a piece of ribbon. How do you erase the stress from your kiddos life when the school year begins? Thanks for linking this up to the Welcome Home Wednesdays link party! Oh my! So cute AND supporting a good cause! I hope someday we can stomp out bullying for good! Thanks for sharing…we hope to see you again next week! What a cute idea and the no sew aspect is a plus for me! Thanks for stopping by our Welcome Home Wednesday link party. Please come back next Wednesday to share more! I completely sympathize with Lisa… I was always afraid that I wouldn't be able to open my locker! Probably because I have hate/hate relationship with combination locks! I'm 26 and still have a hard time with them! 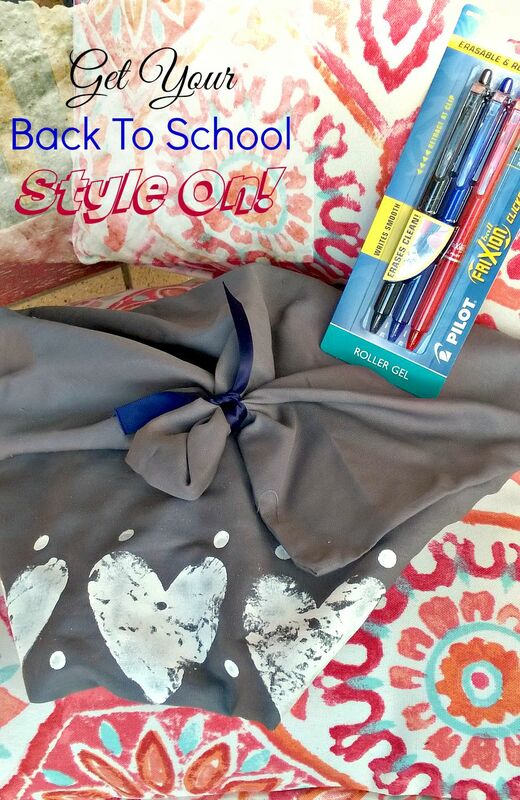 I love how cute your pen bag is… new school supplies was always the best part of a new year! I bet your daughter loves it! Thanks for stopping by the Welcome Home Wednesday Link-Party today… I loved the opportunity to read your post! We'd love to see you next week! What a cool DIY solution for our kids! I am delighted that you shared this no sew pen bag with us at the Plant-based Potluck Party. I'm pinning and sharing.